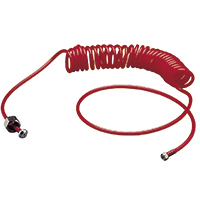 Sturdy and lightweight, this hose has a retractable action which keeps it from getting under foot. Available in 10' lengths only. 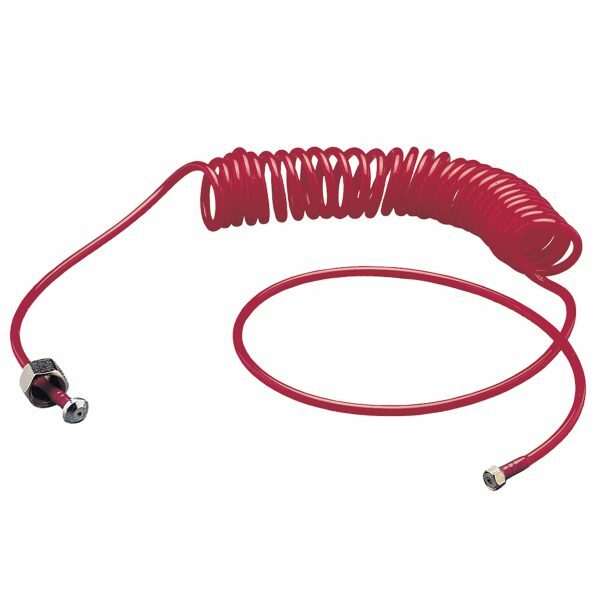 The coupling at the airbrush end is fitted with an O-ring to prevent air leaks. 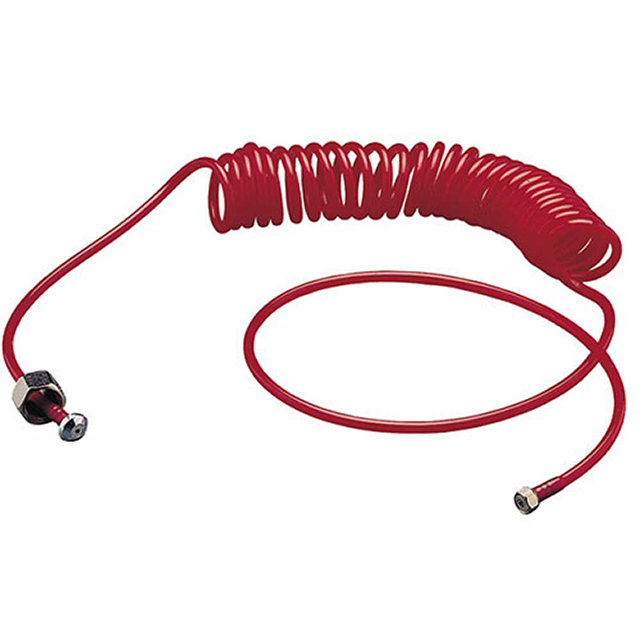 Coil feature keeps the hose out of your way. Fits Paasche pen type airbrushes. Has 1/4 NPT fitting on compressor end.